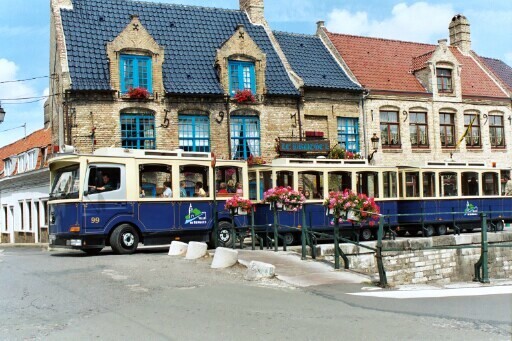 First, there was the "Little train", launched by the municipality of Bergues in the 1980s. Then to renew itself, the city built a tourist tram, reproduction of a 1900s model, but on wheels. The latter was designed in Belgium during the year 1999, it is natural that it was called "Tram ninety-nine". This guided 35-minute ride allows you to discover the history and heritage of Bergues. - According to the period and availability, departures are possible in the morning. Important note, there is never a departure on Monday even on bank holidays. For groups, bookings only in the morning. Tickets are available at the base of the belfry.